At the risk of sounding political, I have to say it–I really wish the USA still celebrated this wonderful man’s birthday. Now we have what’s called “President’s Day,” in February, and we celebrate all of the presidents on this day. We’ve had so many great presidents, but it saddens me that we’ve downgraded Washington’s birthday. If not for this man, we wouldn’t even have a country. He did so much, sacrificed so much for us Americans. I try to remember him on his birthday each year, and I always make a cherry cake in his honor. You used to see cherry cakes in bakeries on his birthday, but not any more. Now, about this Free George Washington Clipart. It’s a lovely old image of Washington. The likeness is amazing. The text is so beautiful–too bad there’s not a font like it. Hopefully, you’ll find a good use for it. 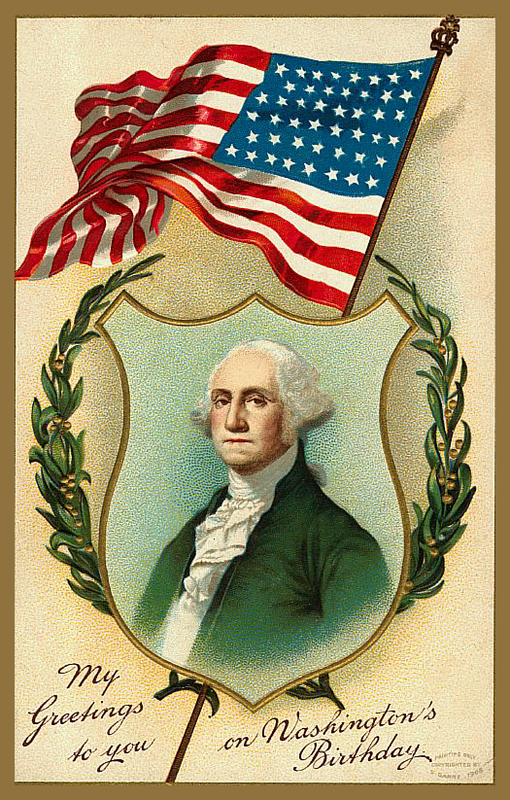 This entry was posted in Patriotic and tagged antique image, Free George Washington Clipart, patriotic clipart, stock image, vintage image on October 13, 2014 by ClipArtPlace.